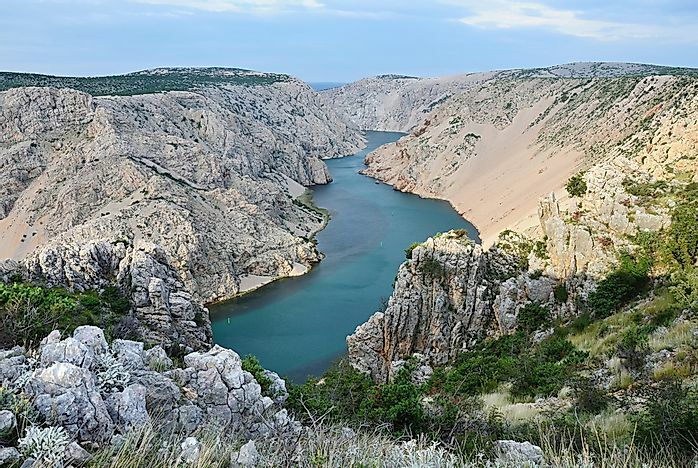 Croatia's national parks protect the country's flora, fauna, and natural formations. Waterfalls in Krka National Park in Croatia. Plitvice Lakes National Park is one of Croatia’s oldest national parks and a UNESCO World Heritage Site. It was established in 1949 and inscribed by the UNESCO in 1979. The national park encompasses an area of 296.85 square km including territories of both Lika-Senj and Karlovac Counties. The area is heavily forested with fir, spruce, and beech trees being the dominant vegetation. 109 species of plants including 75 endemics are found here. 55 species of orchids grow here. 50 species of mammals, 157 species of birds, 321 types of butterflies, 12 species of amphibians, and a few reptilians inhabit the park. The European brown bear, lynx, wild cat, owl, eagle, etc., are some of the notable fauna found here. 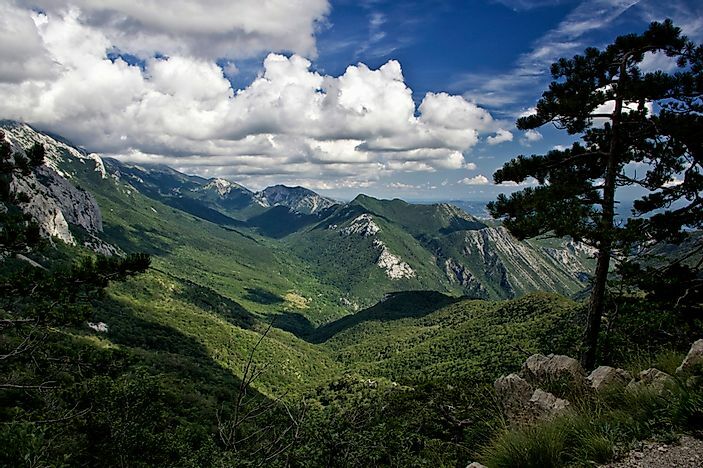 Located on the Velebit mountain’s southern slopes, Paklenica National Park occupies an area of only 95 square km. The two canyons of Mala and Velika are part of this park. 1,000 species of plants have been recorded here including 79 endemic species. More than 40 species of amphibians and reptiles including the Orsini's viper, an endangered species, are found here. 230 species of birds have been recorded in this national park. This figure includes numerous threatened species like the peregrine falcon, golden eagle, goshawk, etc. The mammalian fauna of the Paklenica National Park includes roe deer, brown bear, chamois, etc. Spiders, beetles, scorpions, crabs, etc., occur in the caves in large numbers. Tourists visiting this park enjoy hiking, climbing, water sports, birding, and other activities. The Risnjak National Park is located in the most heavily forested and mountainous area of the country. It is part of the country’s Primorje-Gorski Kotar county. The park has an area of 63.5 square km. The altitude of the park varies from 1528 m to 313 m. Karst features like caves, swallow holes, rock falls, etc., dominate the landscape of the park. Despite the small area of the park, a great diversity of vegetation is found here. Fauna includes mammals like brown bear, deer, wild boar, martens, weasel, lynx, squirrel, etc., as well as numerous birds species, amphibians, reptiles, and invertebrates. Woodpeckers, eagle owl, goshawk, hazel grouse, etc., are found here. 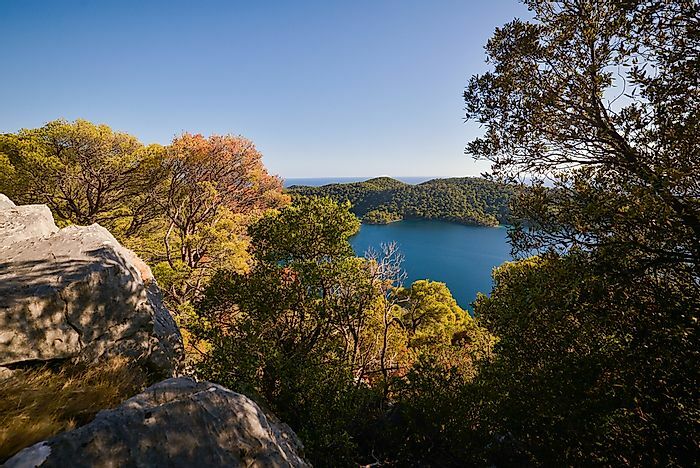 Mljet National Park is located in the northwestern part of the island of Mljet in Croatia’s Dalmatia region. The park was founded in 1960. The national park and the surrounding areas are heavily forested. The national park also has a large lake and an island in the lake. Ridges, slopes, and crests of limestone and dolomite comprise the park’s geological structure. Kornati National Park is part of the Kornati archipelago in the Mediterranean Sea. The park was established in 1980 and includes 109 islands covering an area of 62 square km. 76 of these islands are smaller than 1 hectare. The largest island here is the 32.44 square km large Kornat island which accounts for about two-thirds of the area of the park. The national park hosts a large colony of sea-gulls as well as some reptiles, amphibians, rodents, and 69 kinds of butterflies. Fishing is highly restricted in the area to allow time for the marine fauna to regenerate. 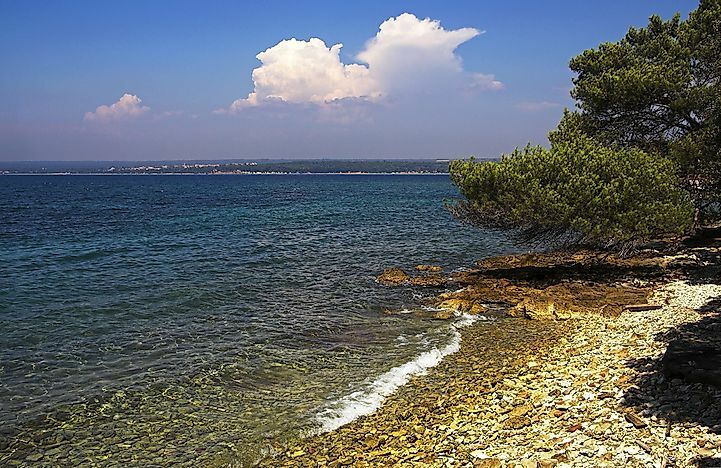 Brijuni National Park comprises of fourteen small islands in the Adriatic Sea. The national park is well-known for its scenic beauty and attracts many visitors each year. Flora and fauna on the island feature several introduced species. Chital deer, mouflons, and the fallow deer occur here. The islands also act as a home for several species of birds. A Safari Park located on the island hosts a variety of exotic species like the Asian elephants, nilgai, plains zebra, waterbuck, etc., obtained from other countries like India and Ethiopia. Sea turtles, dolphins, and other marine fauna inhabit the offshore waters of the park. 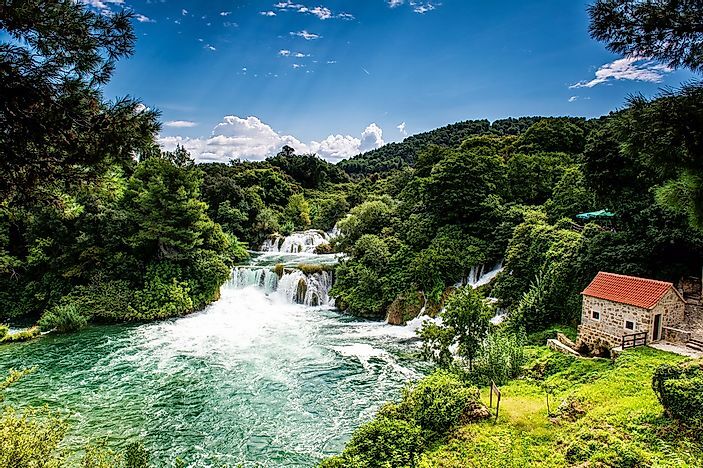 Krka National Park is named after the Krka River that flows through this park. The park was established in 1985 with the aim of protecting the river habitat and encourage tourism activities in the area. The park has an area of 109 square km. The Krka Waterfalls has Europe’s second highest concentration of lavender. The Krka River is home to 18 species of fish including 10 endemics. The wetland areas around the river abound in birds and amphibians. This Croatian national park encompasses an area of 109 square km in the Velebit mountains of the country. The park was founded in 1999 with the aim of protecting the unique habitat of the region. A botanical reserve in the park exhibits the endemic species of the region. Several cultural and historical sites are also present in the national park.